Who knew that morning could be so healthy and wholesome, yet so rich and flavorful? A sandwich for breakfast can cause a revelation and sometimes revolution. 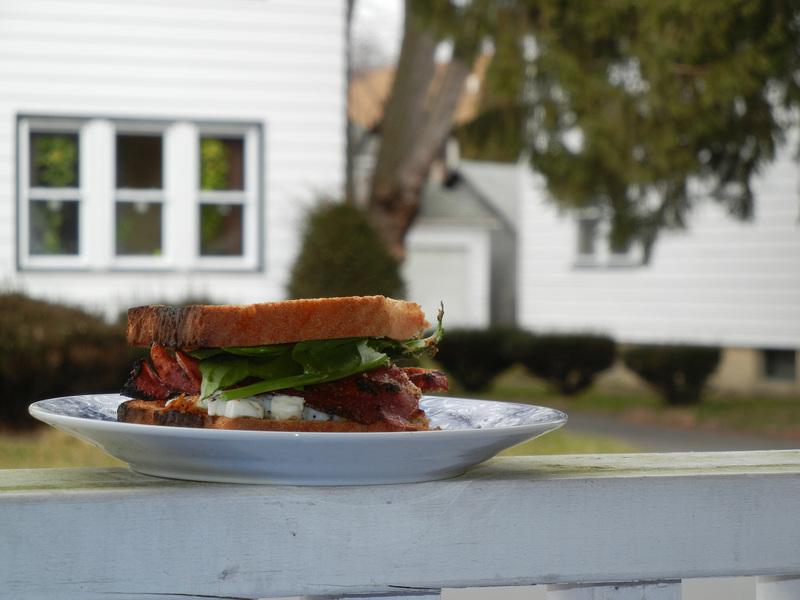 Whole grain toast, spinach, and egg are topped with turkey bacon and a sprinkling of feta to create a creamy, crunchy experience that feels just a little bit naughty. Finish it all off with a pinch of salt and black pepper and you’ll never want to waste your breakfast on a bowl of soggy cereal again.